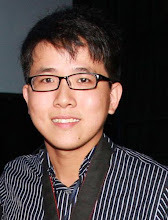 “Time Is Money” is the first movie directed by Kang Kang. It revolves around the story of Chen Mo (played by Kang Kang) who is one of the second generation of rich family. 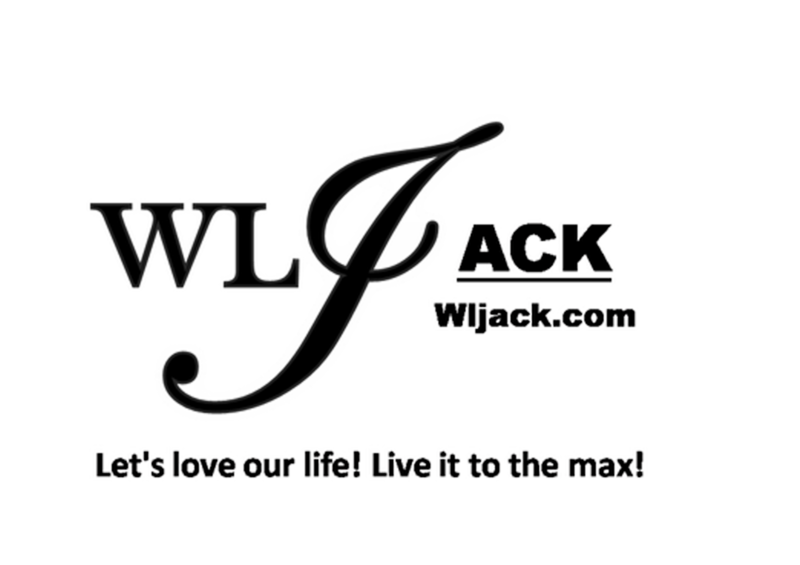 Due to his addiction in gambling, he lost everything in which his dad has passed over and this infuriates his old man. His dad left him a painting by painter Chu Zhong Tian (played by Mark Lee) and it is only worth $100,000 Taiwan currency which is not enough to pay off his debt. After he and his underground boss saw the news in television about a painter and how to boost up the painting’s value, the underground boss forced him to fly to Singapore to kill Chu Zhong Tian. Zhu Yue Po (played by Ng Man Tat) hates Chu Zhong Tian because it’s Chu Zhong Tian’s fault that he was being placed inside a jail. Because Chu Zhong Tian was surrounded by enemies, he accept the gallery broker recommendation to seek for Malaysian beautiful gallery broker, Hu Jing ( played by Wang Yu Rou)’s help to sell his painting while fleeing from danger. Finally, 3 of them meet in Malaysia and start their evil scheme against each other. What will happen in between three of them? Who will win in the end? Let’s find out whether the movie is worth your time or your money in the cinema near you. 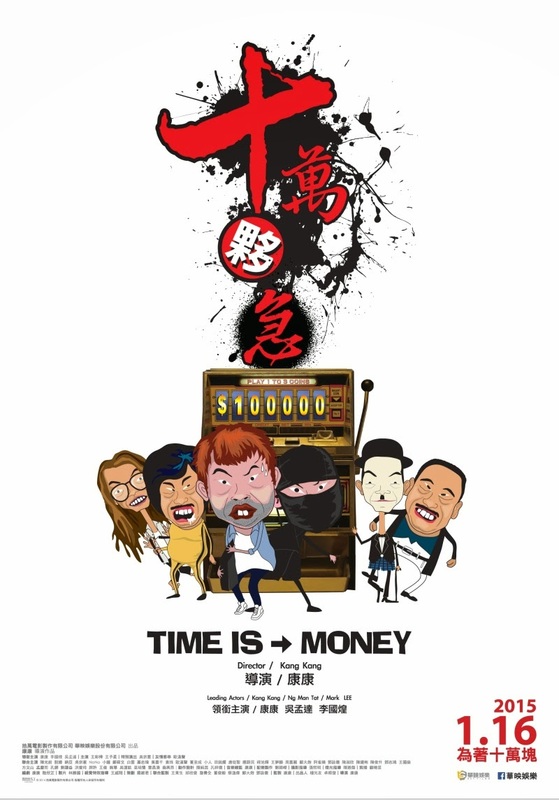 “Time Is Money” is Kang Kang’s first directed movie and we can see a lot of his effort in trying to make this movie something like those classical slapstick comedy movies from HK and Singapore. From the aspect of the storyline, it is a bit nonsensical and even to the extent of being lame. You need to be really open-minded to accept such a script which felt a bit forced just to connect the three main characters from the movie which originated from different countries. However, what saves the movie from being total let-down is the comedic contents and scenes which could provide some laughter to the audience. While there were some jokes which felt a bit like “seen it somewhere before”, there were some slapstick comedy scenes which really hit the spot and tickle your laughing sense. As for the acting wise, the one who totally steal the limelight in my opinion is Alvin Wong, who portrays a hotel manager that kept on asking Kang Kang’s character on whether he is a film-director. He manages to create some creepy laughable moments in the movie which could totally leave an impression for the audiences. The other memorable performance is by an uncle who kept on saying “I cover you”. Otherwise, the three main actors’ performances were okay but not their best. I just felt that Mark Lee and Ng Man Tatt have performed much better in their previous movies. 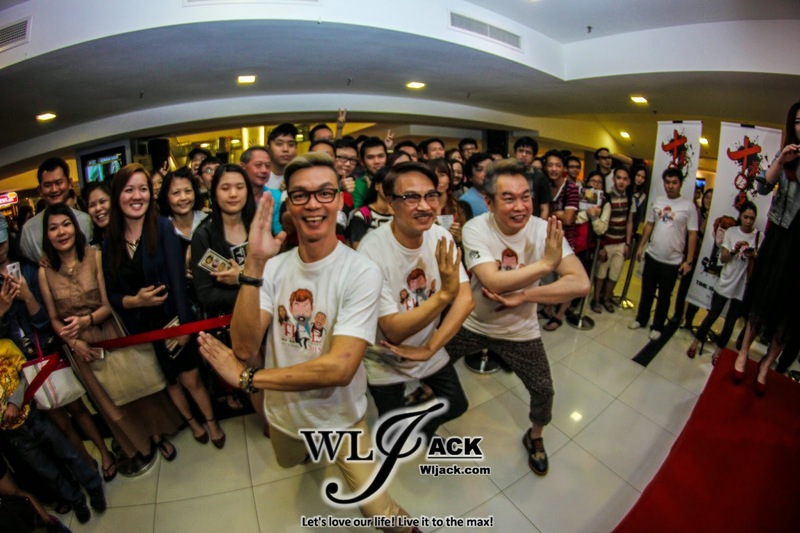 The movie has also featured some familiar faces from Taiwan, Singapore and Malaysia entertainment industries such as Jacky Wu, Henry Thia and etc as cameo appearances. Although their appearances felt a bit out-of-nowhere (totally not related with main storyline), it’s quite fun to see them on screen for this movie especially Jacky Wu. Otherwise, the soundtrack for the movie is ok and it’s fun to hear Ng Man Tatt’s voice in their main theme貨源假. This movie deserves a 5.5/10.0! 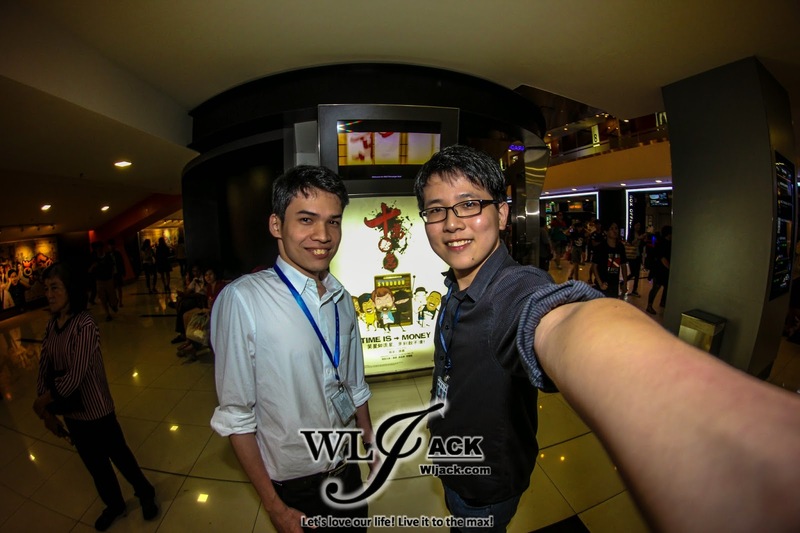 Me and my fellow reviewer buddy, Andy Lim at the Gala Premiere of "Time is Money"
Highly recommended to those who love Kang Kang and wish to support his first movie! If you are expecting it to be as funny as those old times HK Stephen Chow’s movies, you are likely to get disappointed. However, if you go into the cinema with low expectation on the storyline and just want to sit back, relax and laugh, then you might enjoy it.